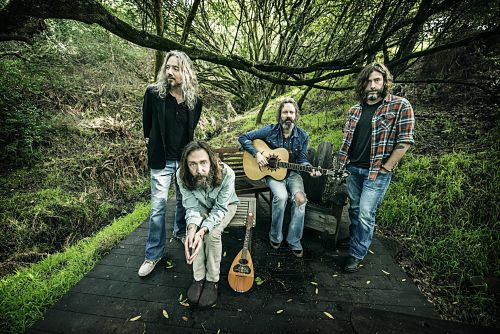 The Chris Robinson Brotherhood are scheduled to release their new album on July 26. Anyway You Love, We Know How You Feel is being released via Chris Robinson's Silver Arrow Records. They recently shared a single from the upcoming album. You can check out "Narcissus Soaking Wet" below as well as a list of tour dates. Indeed, when the Chris Robinson Brotherhood entered the studio to begin recording the album, no one knew just what to expect. These would be the band's first recordings with new drummer Tony Leone (Ollabelle, Levon Helm) and their first time producing themselves. Robinson purposely left as much open-ended as possible. Rather than coming into the studio with a collection of finished songs as he had in the past, he would present the group with sketches—a verse and melody here, a chorus and chord progression there—and let the band follow its collective muse to bring the music to life. They’d lean into the improvisational nature that makes their live shows such enthralling spectacles and thrive on the unexpected.